Warning: This article could change your life. Meditation is more than an esoteric exercise for the spiritually-inclined. It’s the singularly most effective tool in clearing mental distractions and helping us make better decisions. The result? Increased life satisfaction. I should know. I’ve been practicing meditation for about four years now. Prior to starting, I was an unofficial ambassador for low-level anxiety. I had six crowns put on my teeth due to a chronic case of stress-induced bruxism. I had hospital EKG tests for heart palpitations (also stress-induced) and I’d frequently find myself wide awake at night with insomnia (also stress-induced). And those were just the physical ailments. Don’t get me started on the ruminating thoughts and mental chatter. My head felt like Grand Central Station during a power cut on Christmas Eve just before shops close. Pure chaos. 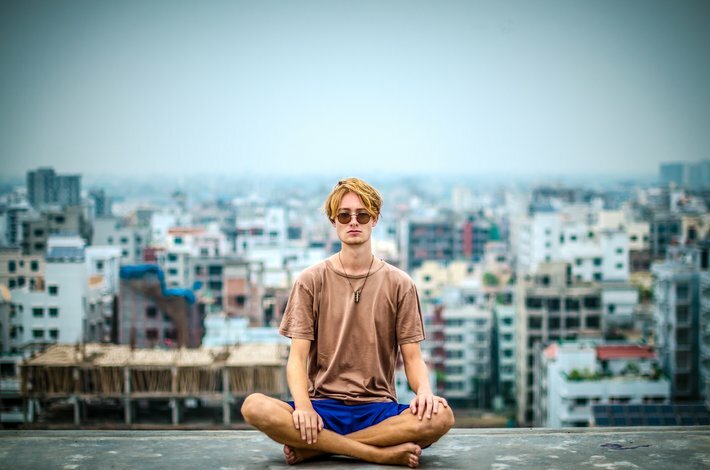 According to a study carried out by Harvard researchers, meditation helps develop the mind’s plasticity and its attendant ability to bounce back more quickly from a distraction. Quick neuroscience 101: plasticity refers to the brain’s ability to redecorate the place in a bid to tune into your needs. In other words, the mind can reorganize its living space by creating new neural pathways when required. As we know, all it takes is a ping, a ring or similar audible alert to hijack our conscious awareness. Meditative practice helps us guide back our thoughts to the task at hand when summarily interrupted. Interested? Just stop, drop and breathe.